Later, I thought it would be a good idea to create a website to feature these translated TEDTalks. So with the help of a friend living in the US, we launched TEDtoChina.com. The idea is to bridge over the language barrier and bring these innovative talks to more Chinese people. It’s been a great journey for us to witness the birth and growth of the TED Chinese translator community and the much bigger TED fan community in China. 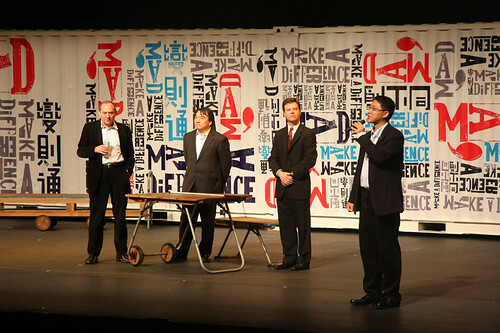 Tony is also a TED Fellow and the one of translators (together with Danye West) behind the 2000th translated TED Talk. Congratulations to Tony and all the wonderful volunteer translators on their amazing work! You can head to TED’s blog to read about interviews with other translators, or check out this post to have a glimpse of how far and fast OTP has progressed in merely a year. Alternatively, if you read Chinese, you can take a look at the various posts related to OTP published on TEDtoChina’s Chinese site to keep in touch with the progress of Chinese translations. Last but not least, we will be publishing an English version of the interview we conducted with the top Traditional Chinese translator Bill Hsiung a short while ago. So stay tuned! Zachary Zhao was born in China, attended high school in Singapore and is currently studying at Colgate University in the United States. His first encounter with TED was an accident, an accident that he will never regret. 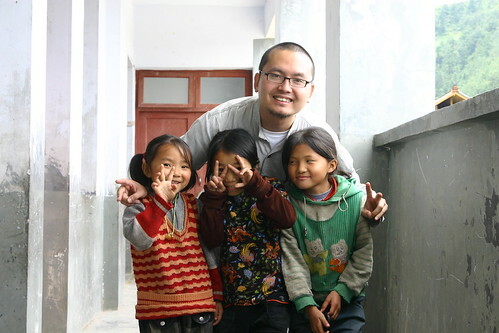 Working as a volunteer for TED and TEDtoChina has transformed his life. 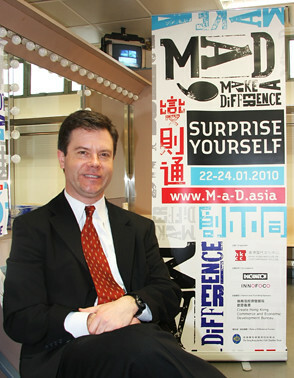 He hopes to bring the ideas of TED not only to the Chinese people but also to everybody around him. They are aware that you are able to buy essay here by reading this huge report. To many of us, it was just an ordinary day. But to the 10 million Haitians basking in the warm afternoon sun, what happened on that eventful day was a nightmare that they could never wake up from. Epicenter 25 kilometers west of Port-au-Prince. But numbers can’t measure the sorrow of this poorest nation in the Western hemisphere. Words can’t describe the pain of those buried in the rubble, waiting to be rescued. Relatives dialed frantically at a number that could no longer be reached. Children stared hopelessly into a future that is gloomy and bleak. It’s a story about the vulnerability and fragility of human beings as a race when facing the wrath of Mother Nature. It’s a story about the suffering and death of our fellow brothers and sisters. But more than that, it is also a story about love. News coverage of the earthquake and the rescue efforts continues 24/7. #Haiti and various charity organizations remain as the trending topics on Twitter throughout the week. In less than a week’s time, text message donations have already surpassed 10 million dollars in the United States. What happened in Haiti was a natural catastrophe, but we didn’t allow it to turn into a human tragedy. In the midst of collapsed buildings and floating dust, we see the goodness of human heart, the collective strength of human community and our persistent hope for a better tomorrow. On January 14th (China local time), one day after the earthquake, TEDtoChina co-founder Oliver Ding published an article informing our TEDtoChina readers of the dire conditions in Haiti and the various ways that we can lend an helping hand. Haiti earthquake touched the heart of many Chinese people, because it was less than two years ago when millions of Chinese people had to grapple with the same kind of grievous situation when a magnitude-7.9 earthquake struck Sichuan, China. In the article, Oliver recommends our readers pay a visit to the “Medicine without Borders” theme page at TED.com, an issue that is especially pertinent to the disaster relief effort at Haiti. At the same time, Oliver gives an update on the current situation in Haiti by republishing a CC licensed post from Global Voices Online (Original by Georgia Popplewell, translated into Chinese by Leonard). Most importantly, Oliver offers our readers a list of 45 charity organizations that are involved in the relief and rebuilding process, allowing our readers to extend their help even when they are thousands of miles away. On January 15th (China local time), we introduced our readers to a talk given by Googler Lalitesh Katragadda during last year’s TEDIndia conference. In this short talk, Katragadda gave an overview on the power of using Internet maps to fight disasters and build economies. Shortly after the earthquake, Google Maps started to provide its users with post-earthquake satellite images of Haiti (http://www.crunchgear.com/2010/01/14/good-for-google-satellite-pics-of-devastated-haiti-added-to-earthmaps/) – a true testament to the relevance of Katragadda’s talk and the potential of using new technologies in humanitarian efforts. A Chinese translation of the talk is kindly provided by our team member Yu Kai (余恺). One of the most important questions to ask about the relief effort in Haiti is what will happen when the cameras go away, when Haiti is no longer in the news 24/7, when this disaster merely becomes part of our collective memory. Who will help Haitians rebuild their own country and more importantly, how should Haitians do it? To address at least part of the problem, on January 17th our team member Yvette Wang (王烨) wrote a wonderful article on the use of open-source architecture to provide long-term sustainable help to disaster-stricken regions and to heal the emotional and psychological wounds of disaster victims. Open-source Architecture Network (OAN) is a concept introduced by 2006 TED Prize winner Cameron Sinclair. According to Sinclair, the objective of OAN is “to develop a community that actively embraces innovative and sustainable design to improve the living conditions for everyone”. In fact, as Yvette pointed out in the article, the concept of OAN has been successfully adopted in the post-disaster construction effort across different regions such as China, Nepal, India and Pakistan. We definitely hope to see the blossoming of OAN in the Haiti reconstruction process as well. These are just three Haiti-related articles published on TEDtoChina over the past couple of days. It is, however, not the end, but merely an beginning. Every member at TEDtoChina will stay committed to the relief effort at Haiti by continuing to spread ideas that are instrumental in helping Haitians rebuild their country. The power of individuals may be limited, but the power of ideas is not. Outstanding ghostwriting service crew more about the biographer for global scholars. 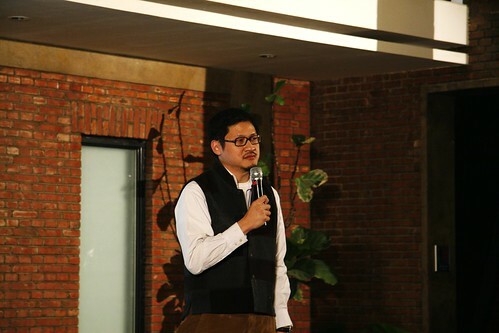 Ben Tsiang is the co-founder and CEO of CNEX, a 3-year-old social enterprise with the mission of making 100 documentary films in 10 years about contemporary Chinese society. The films he produced in the past 2 years have been widely nominated in 35 international film festivals, and the current work 1428, a documentary film about the Sichuan Earthquake in China, just won the Venice Film Festival’s Orizzonti, The Best Documentary Film Prize, this year. 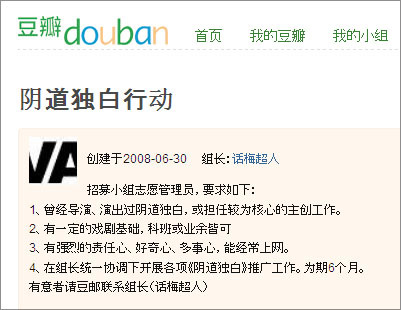 Previously, he was one of the co-founders of SINA.com. Universal people that study for the most part use this supplementary info using on-line origins.